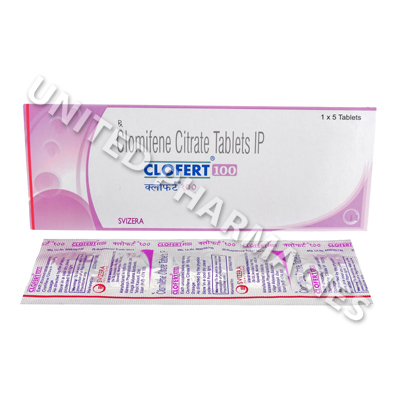 Clofert (Clomifene Citrate) is used to induce ova production in women who are having difficulty becoming pregnant. It is also used in smaller doses by men to increase sperm production. 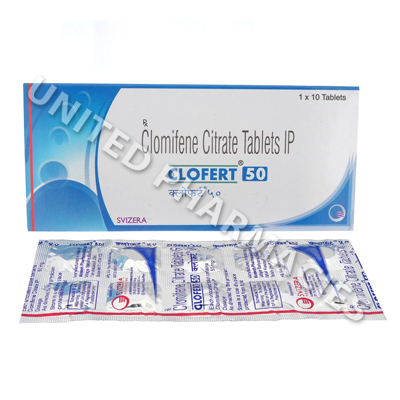 Clofert (Clomifene Citrate) is used to induce ova production in women who are having difficulty becoming pregnant. It is also used in smaller doses by men to increase sperm production. You must see your physician before using Clofert-100 (Clomifene Citrate) for this purpose. The correct dosage will depend on your circumstances. Typically for infertile women, the dosage will be one 50mg tablet daily for the first 5 days of a menstrual cycle although . Men using Clofert (Clomifene Citrate) should consult their physician about the correct dosage for their condition. 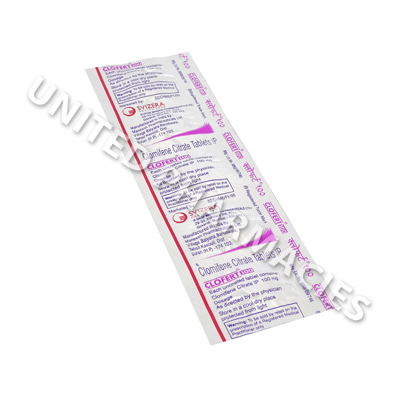 Taking Clofert (Clomifene Citrate) may result in experiencing unwanted side effects, although it is considered rare for most people to experience these side effects. Some of the symptoms of side effects you may experience include breast discomfort, dizziness, headache, heavy menstrual periods, depression, nausea, vomiting, nervousness, restlessness, trouble sleeping. Others may experience more serious effects. If you experience stomach or pelvic pain, vision problems, are sensitive to light, or have yellow eyes or skin after taking Clofert (Clomifene Citrate) then you see your physician. 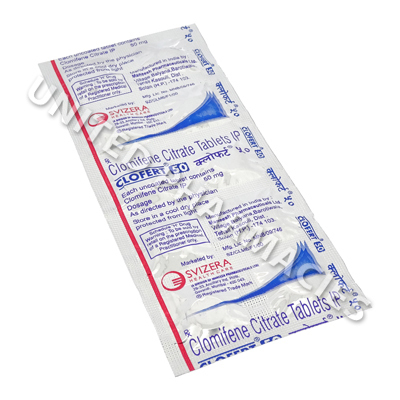 Do not take Clofert (Clomifene Citrate) if you are pregnant or think you might be pregnant. It is thought that products containing Clomiphene can cause defects to the fetus. Clofert (Clomifene Citrate) may increase your chance of having multiple births (twins, triplets etc). Talk to your physician about the risks associated with multiple births. If you have had a history of liver disease, stomach bleeding or thyroid disease, then talk talk to your physician about the suitability of Clofert (Clomifene Citrate) for your condition.